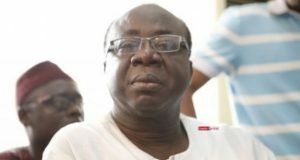 President Nana Addo Dankwa Akufo-Addo has appointed acting National Chairman of the New Patriotic Party (NPP), Freddie Blay, as the board chairman of the Ghana National Petroleum Corporation (GNPC). He has also appointed six others as members of the GNPC board. They are Dr. k. K. Sarpong who is the Chief Executive of the Corporation, Mr Kwabena Kwakye, Prof. 1 S. Nabila, Mr Yaw Kyei, Nana Adjoa Hackman and Ogyeahohoo Yaw Gyebi II. A memo dated May 3 and signed by the Chief of Staff, Akosua Frema Osei-Opare requested the Minister of Energy “to take necessary steps to swear the above-mentioned members of the Board of Directors into office.” A copy of the memo was received at the GNPC on May 11, 2017, 3News checks have revealed.